Not only does this summer's X-Men: Apocalypse conclude a trilogy that began in 2011's X-Men: First Class (headlined by Charles Xavier, Beast, Magneto, and Mystique), it also introduces a new generation of mutants that will be part of the team moving forward. Among the additions are younger versions of Nightcrawler, Cyclops, and Jean Grey, all of whom were featured in the original film trilogy from the 2000s. That series of movies was notorious for the manner in which it concluded. X-Men: The Last Stand is seen by many as one of the more disappointing comic book adaptations, criticized for mishandling two important storylines: the mutant cure and the Dark Phoenix saga. Each one was substantial enough to carry its own film, but combining both led to a narrative that wasn't fully developed and missed an opportunity for a hard-hitting plot. With the franchise essentially rebooted now, there's a chance for a Dark Phoenix mulligan, something that Apocalypse producer Simon Kinberg would be very interested in. All signs are pointing to the Apocalypse followup tackling the Phoenix saga in one way or another. Bryan Singer has announced his intentions to set the next film in outer space, which certainly plays in line with the source material. In the comics, the whole Phoenix narrative started when Jean is returning from an interstellar mission and is exposed to radiation from a solar flare, allowing her to realize the full extent of her mutant abilities. Even more of Marvel's cosmos are explored later on. It is one of the most famous arcs in all of X-Men comics, and something that the creative team would love to do justice. With rumors constantly suggesting this is the plan, it looks like moviegoers will be seeing Dark Phoenix on the big screen again soon. 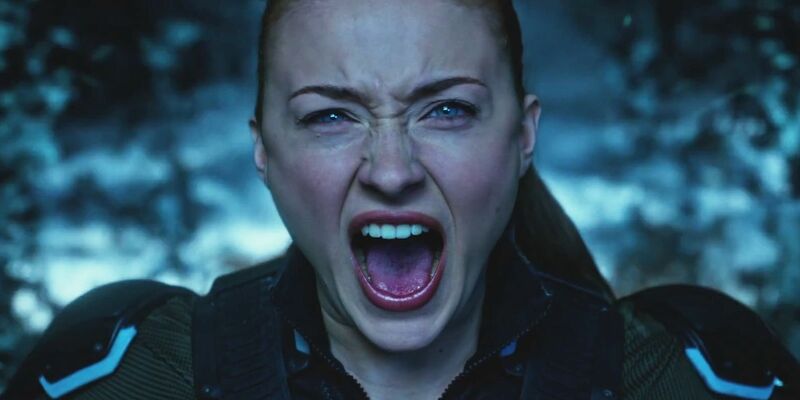 The Apocalypse trailers (which show Jean having visions of a fiery apocalyptic future) are more evidence that Fox is seriously contemplating bringing back the Dark Phoenix saga. With a talented actress like Turner at the forefront, it certainly could make for a compelling, dramatic film with the potential to be one of the standout entries of the genre. Longtime fans may remember that Singer had crafted a fascinating treatment for X3 before leaving to helm Superman Returns, so it's obviously an angle he's wanted to explore for a while. With him now fully committed to the future of X-Men on film, hopes are high that Dark Phoenix 2.0 will go much better than the first go-around.